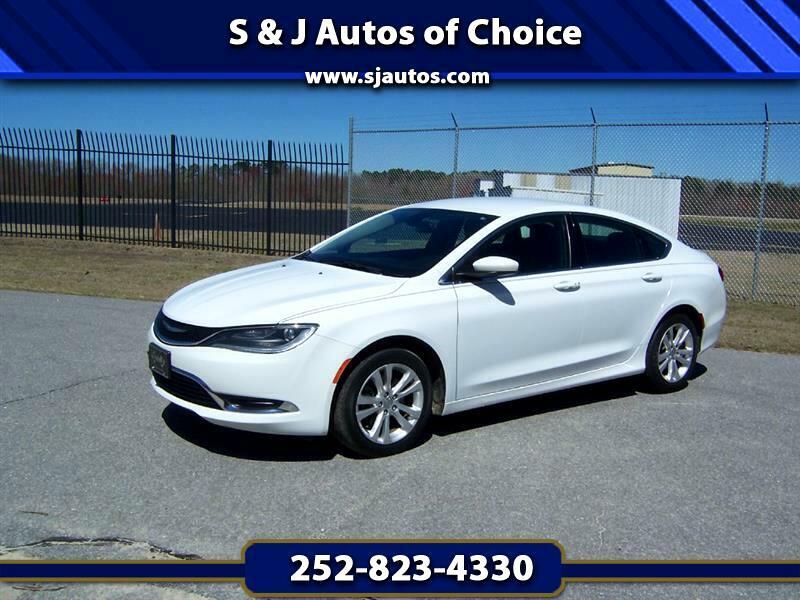 Used 2016 Chrysler 200 Limited for Sale in Tarboro NC 27886 S & J Auto Sales, Inc. This Chrysler 200 is an attractive, comfortable, and truly appealing sedan. A beautiful and neatly detailed interior blends amicably with the smooth, graceful exterior. It delivers ride comfort, great performance and styling. NADA reports that the Chrysler 200 is among the most affordable premium midsize sedans on the market today. As S & J Auto Sales Inc. continues to expand and evolve, the one guiding principle that has remained steadfast along the way is the goal of satisfying each and every customer. Since our beginning, and for more than 48 years, our corporate mission statement as remained the same. That is: To make it easy for our guests to purchase an EXTRA NICE product at a fair price, from people devoted to quality service. Since our beginning, and for more than 40 YEARS, our corporate mission statement has remained the same. It is . . . . “To make it easy for our customers to purchase an EXTRA NICE product, at a fair price, from people devoted to quality service.” EXTRA NICE . . . . That's Our Way at S & J ! Please call us today to schedule a test drive of this Extra Nice vehicle. S & J Auto Sales, Inc.
213 E. Hope Lodge St.
Information deemed reliable, but not guaranteed. Interested parties should confirm all data before relying on it to make a purchase decision. All prices and specifications are subject to change without notice. Prices may not include additional fees such as government fees and taxes, title and registration fees, finance charges, dealer $344.00 administration fee, processing fee, and emission testing and compliance charges. Internet special price may not be compatible with dealer sponsored or subsidized subprime financing. Due to test drives etc. , the vehicle mileage stated may vary.